Okay, the time has come to share my favourite products with all you lovelies! Did you know I actually gave a sneak peek of some of my go-tos in the very first post in this mini-series? I am going to split this post into two sections: face and body. Like I mentioned in "Skin Deep," products using coarse materials are not the best to use on the face, so I have very different preferences for the two areas. I tend to use physical exfoliators on my arms, legs, feet, and chest, whereas I choose more gentle products for my face. So for chemical exfoliants I definitely prefer them mild, as my skin is prone to spots if I overdo anything. The Madara Brightening AHA Peel Mask is great for when I need to completely kick start my skin, as it removes dead skin cells from the surface layer and leaves my face looking smooth and radiant. I was thrilled when I got this in one of my Love Lula boxes, and it really has done my skin good, even though I only use it occasionally. I tend to only use this once a month, if that. 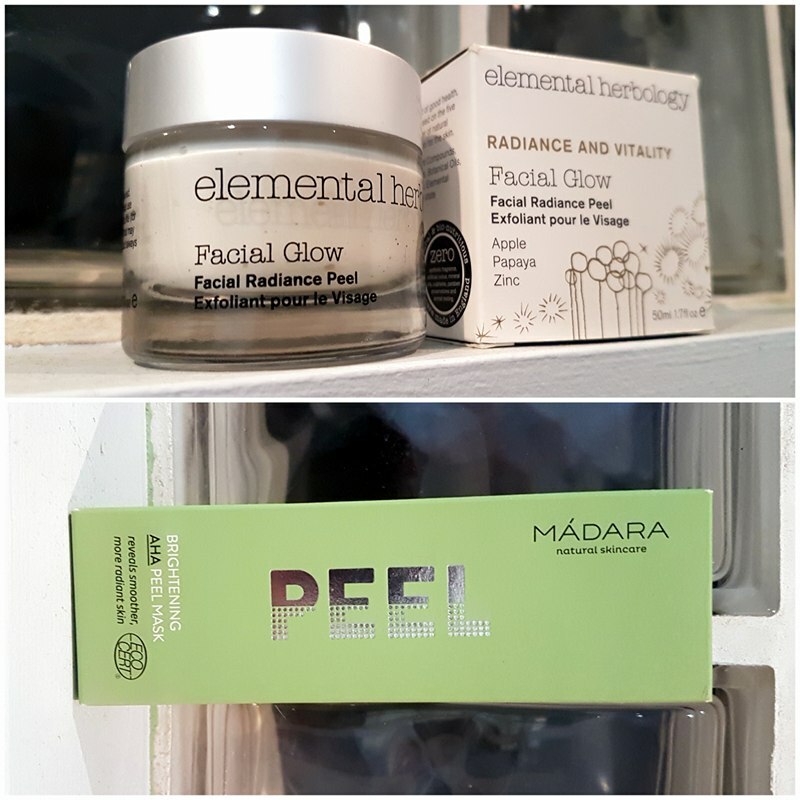 The Elemental Herbology Facial Glow is a mask I do more often (usually once per week), as it uses fruit enzymes rather than an acid to exfoliate. It is perfect for right before a shower, as it only needs to sit for four minutes before being rinsed off, and then creates a healthy glow that lasts for ages. Like I have mentioned before, I do not tend to use many physical exfoliants on my face, as I find them too harsh for my skin type and for me they end up causing more spots. 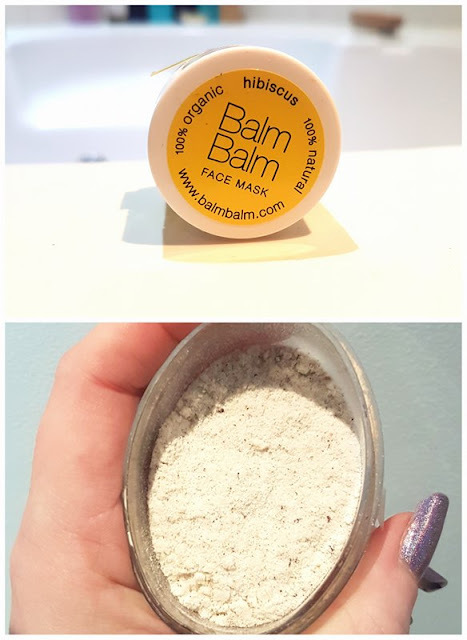 However, this face mask from Balm Balm is lovely, and very gently buffs away at the top layer of skin both when applying and when removing. 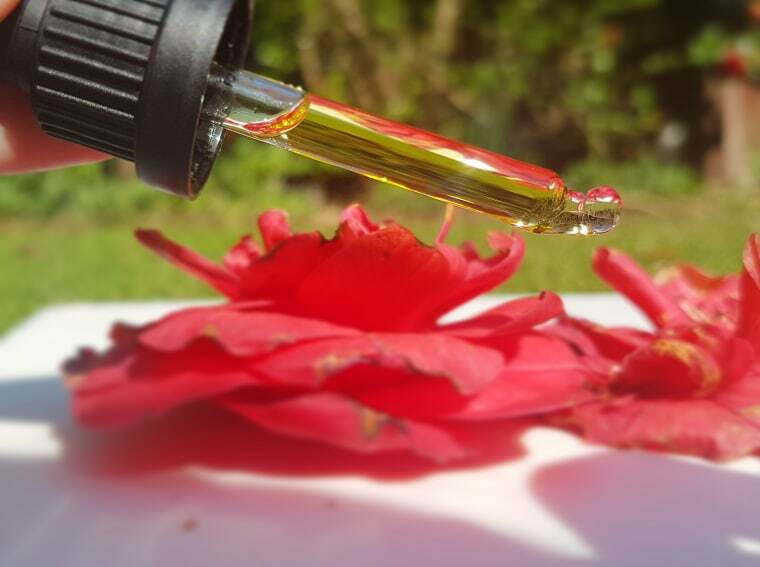 The hibiscus and rose geranium smells lovely, plus it doesn't dry like concrete! 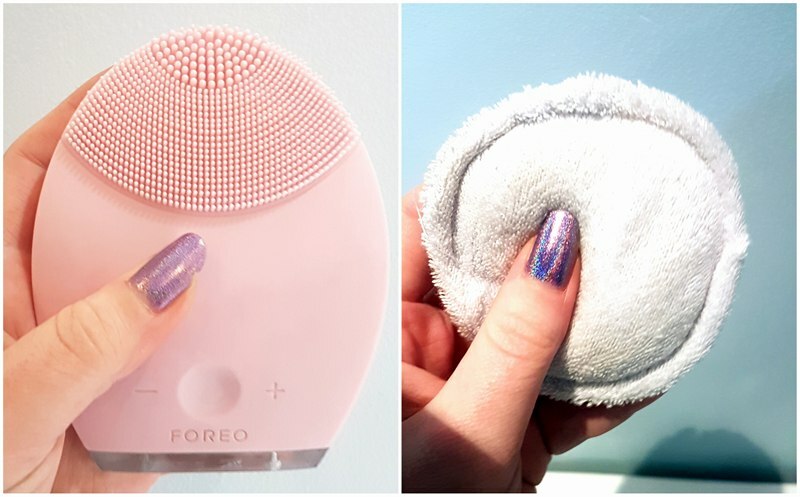 I heard a lot of hype around the Foreo products, and when I saw the price tag I thought no way could it be worth it. Well, when I finally spotted it in the sales last year, I could not resist. I quickly found out why everyone was so excited by this little tool -- my skin has never felt softer or smoother, and it looks so healthy! I have the Luna 2, and it did genuinely transform my skincare routine. Even better, it doesn't take ages and is the furthest thing from a faff. I can cleanse and exfoliate my whole face in under two minutes, as well as massage in my moisturizer. Win! I also highly rate these little reusable cotton pads by Love The Planet. I use them to apply toner, and occasionally to remove tricky waterproof mascara with a bit of my MOA Green Balm. 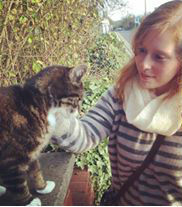 They are very gentle, made from the off cuts of towel manufacture (less waste!! ), are 100% cotton, and are machine washable -- they even come with a handy mesh bag to toss them into before washing! Not pictured, but another favourite of mine, are my various muslin cloths. I am still deciding which brand I prefer, but I think I have to choose MOA for steaming/hot cloth, Balm Balm for more intensive exfoliation, and Liz Earle for daily cleansing. I would love to hear your favourites, as I am always on the hunt for something new that will benefit my skin! Okay, so for body exfoliation I tend to opt for one of two options: salt, or sugar. For areas that I know have a reoccuring buildup of dead skin cells (so directly under my breasts, my chest, and my upper arms), I opt for a salt scrub. 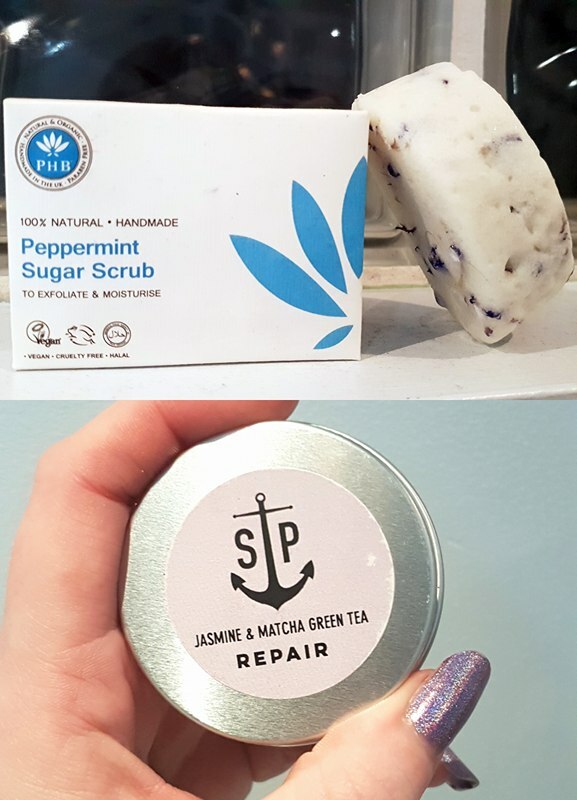 The best one I have encountered so far has to be The Salt Parlour -- especially their Jasmine and Matcha Green Tea "Repair" scrub and their Lime and Avocado "Energise" scrub. I got a sample of this is one of my The Cruelty Free Beauty Box subscriptions, and instantly fell in love. The scrub smells absolutely amazing, and they have nourishing oils infused so your skin doesn't go dry after exfoliating. I find the size of the salt is ideal, as it is not too rough but gets the job done. My legs, lower arms, and back get the sugar treatment -- mainly because this PHB scrub is a bit scratchier and I do not want to cause any damage to the more sensitive areas of my body. I love anything with peppermint in, and this solid bar is no exception. It smells divine, revives me, and helps to moisturize the areas even after I am finished exfoliating. Not pictured, but a newer favourite of mine, is my body brush. I discovered this technique a few months ago, and as I mentioned in my previous post, it is actually known to improve circulation as well as skin appearance. At the moment I just have a cheap one I picked up in a local shop (it is unbranded), but I am eyeing up the one by Green People. Will check back in if I cave and buy! *** I have to mention a potential runner up for this category -- I love the idea of coffee scrubs, and wanted so desperately to hop on the coffee ground train, but unfortunately I can't yet due to the problem of drainage. Coffee grounds are notoriously bad for pipes, as they build up and cause blockages. They don't dissolve like salt or sugar, so they just gunk up. However, with a coffee filter or something similar to catch the fallout, these can be used without too much danger of damage. When it becomes less of a hassle, and a convenient product is created to catch these grounds, I think coffee scrubs might actually become my favourite exfoliator (especially the scrumptious ones Optiat make!). There you have it! My favourite exfoliation treatments are rolled in to one handy post. I would love to hear what your go-tos are, and which of these products you have tried yourselves. Let me know in the comments below!